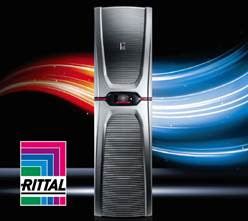 Rittal has just released a new generation of cooling units called "Blue e+". It's a quantum leap in terms of cost-effectiveness. As well as providing far higher energy efficiency than existing cooling solutions, the units are also distinguished by their flexibility, safety, and ease of handling.